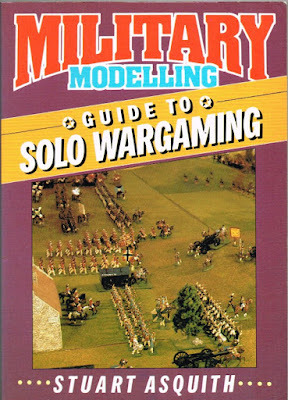 Here is a list of useful solo wargaming links, if you know of any other links which you think should be included then by all means use the comment form below. Random thoughts about DIY gaming, including scratch building, home brew rules, sculpting, solo-wargaming, and solitaire versions of dead CCGs. A hobby group to share and discuss solitaire war gaming including PC games. Discussion of books and history most welcome. A blog for developing my thoughts on gaming mechanisms for solo miniatures and board gaming. Solo gaming mechanics, campaign rules, and battle reports illustrating the use of the mechanics will all be a part of the blog. We intend to develop a method of playing the De Bellis Antiquitatis (DBA) fast-play ancient wargames rules solo. Solo War Game Yahoo Group. An excellent online discussion forum dealing with all manner of solo wargaming matters. Currently has over 1200 members. Welcome to my solo wargames blog. As well as being a personal journal of my solo battles and campaigns, I’m aiming to gradually build this into a modest online resource for other solo wargamers.